Burlappcar: New Mazda SUV coming up. Mazda has announced it will unveil a new model at the Geneva Auto Show next month. 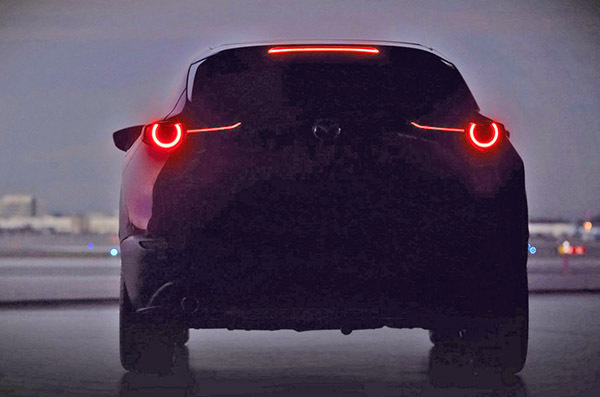 Most people seem to think this will be the all-new Mazda CX-3. The current model is 4 years old only. Which could seem a little early for a new generation. I think this could actually be a "new" CX-4. 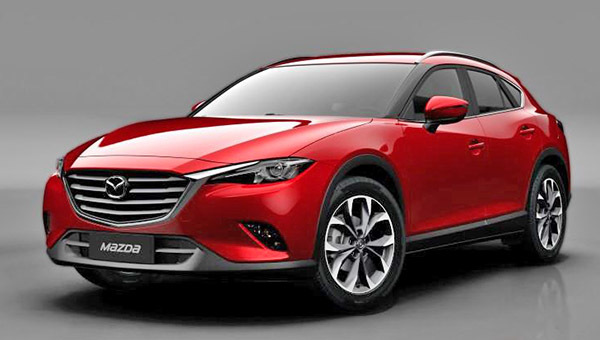 As I mentioned a few times before (), the CX-4 is a Mazda model that has been on sale exclusively in China since 2016. But last year, mazda did mention that an all new model (not the CX-3 or CX-5) was coming soon to the US market. 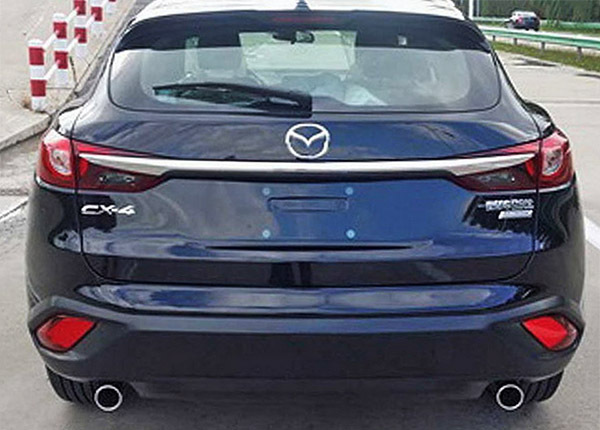 Here is a rear view of the current Mazda CX-4 for the Chinese market. And it does look very similar to the teaser above. Of course, the lights and bumpers are different, but that would make sense in a scheduled mid cycle refresh. Here are a few more pictures of the current CX-4. It would be a weird move for Mazda to bring to Europe (And possibly the US) a 3-year-old model. But they are not a huge company, and it seems a pretty inexpensive way to expand the market of an already designed model. Is this the all-new CX-3, or the revised CX-4? The first picture you posted of the "current" CX-4 was of the concept version (called Koeru), not the production version FYI. Note the exhaust, lack of rear wiper, etc. You are absolutely right. I corrected it. Thanks! CX-4 could be a good opportunity to expand its market shares in Europe as the next 3 might not sale as much as they would expect. A mid-size (Europe definition...) SUV between the CX3 and the CX5 could make it. Even if smaller than the CX4, the T-Roc, between the T-Cross (to be released soon) and the Tiguan is doing very well. The teaser image looks way smaller than the CX-4 to me. I hope you are right and I am wrong. I also hope they do start selling the CX-4 in the US. I really liked the current one but with the revised design language it should look even better. The CX-4 would be an interesting fit in Mazda's US lineup so long as they ensure it is decontented and trimmed more sparsely than the CX-5, because the two are almost exactly the same size on the same wheelbase, and the CX-4 is actually three inches longer but six inches lower. Priced and marketed correctly, I can see a CX-4 being a legitimate alternative to the Mazda3 hatchback.. either cannibalizing sales from it, or recovering the buyers repelled by the 3's new shape. 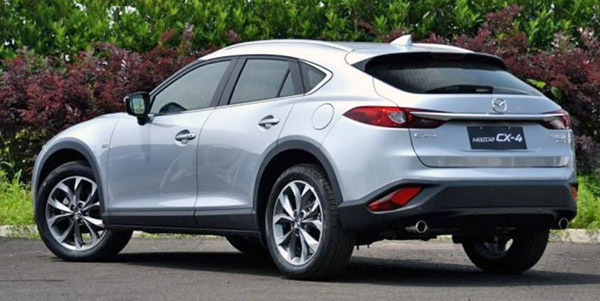 The new CX-7 is the only Mazda. enicleIwould consider. The CX-5 is to small and the CX-9 is too long and narrow inside. Harry_Wild, is there a new CX-7 we should know about? If it is the CX-4, it will without a doubt be my next vehicle. I have wanted Mazda to bring the CX-4 to the States ever since it was introduced. Its the much improved CX-3 , the current is underwhelming compared to the competition.